Australian College of Kuwait is looking for a Graphic Designer in Kuwait City, Kuwait. If you meet the requirements below, you will be eligible to apply via Digital Marketing Community. Produce lead direction, training and work review. Recognize operational problems, considers alternatives and recommend solutions. Coordinate administrative processes and operations, following procedural guidelines. Work as a resource regarding the unit’s policies and procedures. Solve complex problems within area of responsibility. Effectively interpret basic concepts into high-quality marketing collateral. Translate market and business objectives into effective design solutions. Plan designs, concepts and sample layouts based on knowledge of layout principles and esthetic design concepts. Markup, paste and assemble final layouts. Define size and arrangement of illustrative material using software to generate new images. Resolve problems and look for multiple design solutions, especially under narrow parameters. Promote graphics and layouts for product illustrations, logos, and website. Cooperate with other members of the marketing department ensuring all materials produced effectively convey the brand message. Accountable for the senior manager- PR and marketing for providing assistance in all marketing and public relations activities. Demonstrated understanding and user-centered principles to address complex design problems. Outstanding developed communication and interpersonal skills. Strong developed organizational and time management skills. 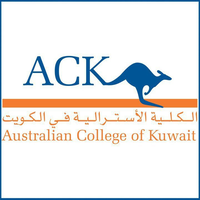 Established as Kuwait’s first private technical college, the Australian College of Kuwait (ACK) is proud to offer one of the finest vocational education programs in the region.